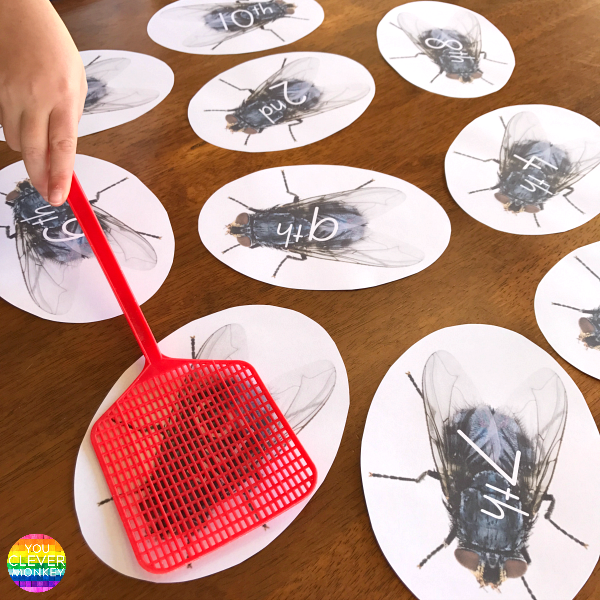 Make learning to read ordinal numbers hands-on fun with these printable ordinal number fly swat card game! There are many concepts in maths for young children to learning in their Early Years. Ordinal numbers are used to show the position of an object. Unlike prepositions which might be used to direct - under, over, behind, ordinal numbers are used to order - first, second, third. Ordinal numbers are easy enough to introduce to your children. Use lining up for class to introduce the concept. Who is first in the line? Most children are first aware of ordinal numbers when watching races. They will be able to recognise and describe the order the competitors in the race finish. There are are many useful videos on YouTube that can be used to help reinforce the concept. Children will need to be able to confidently count by forwards and backwards 1's before introducing ordinal numbers. 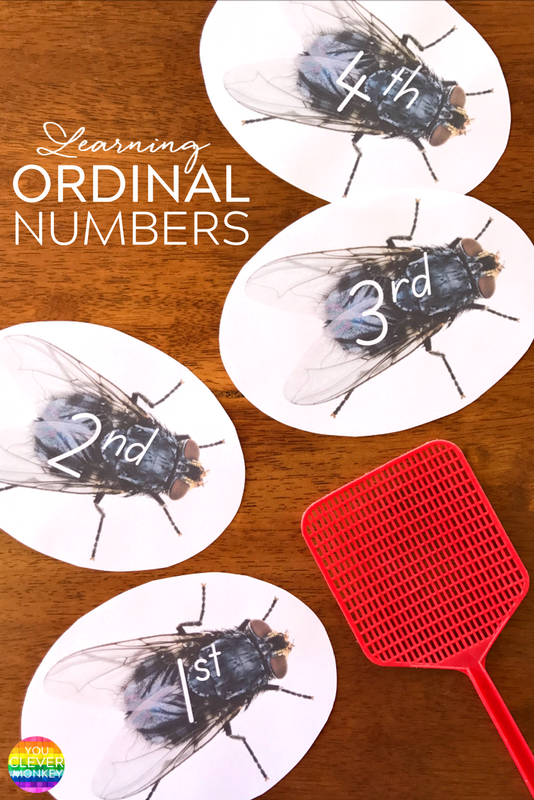 When working on ordinal numbers children will need to connect known numbers - 1,2,3 with new vocab - first, second, third and the shorter written version - 1st, 2nd, 3rd. Use a collection of toys positioned in a single line and ask your children to describe their order. They should understand that the order is determined by a set starting point then they might use that to help them describe the order of the toy. For example, if you had five soft toys - a cat, a elephant, a zebra, a lion and a dog, when asked to describe the position of the lion, the reply might be - 'The lion is fourth from the front of the line' or they might describe the lion in position to a point in the room 'The lion is fourth from the door'. 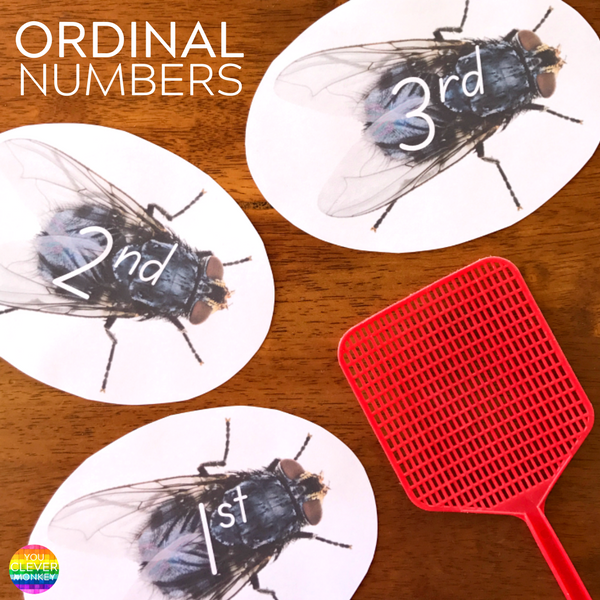 To help my students read the ordinal numbers I've created this set of ordinal number fly swat cards. My class love practicing their sight words this way so I've added this set into both our literacy and maths centres. With all the ordinal numbers from 1st to 25th, they are simple to use. 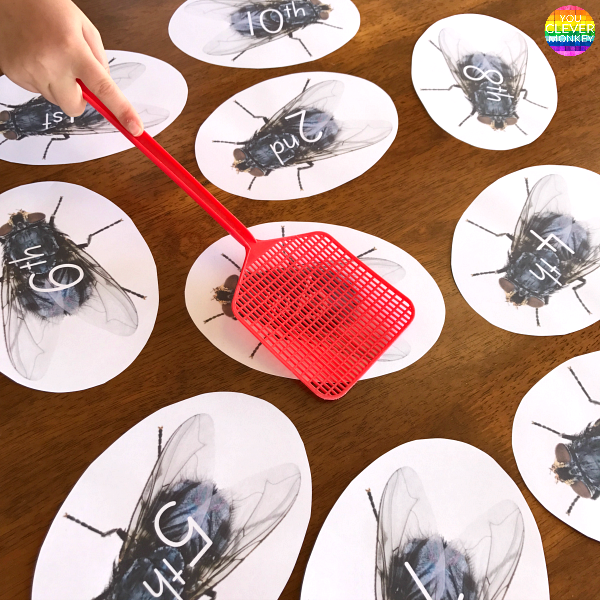 Just print them out, laminate them for repeated use and then add some fly swats. Usually we keep our groups small with only 3-4 people working with the cards at once. The children take it in turns to call out the different ordinal number while the others try to be first to swat it. Want some for your class? You can grab a FREE set from here.